Maria Rushmore sends two boxes of clothing, hats, and shoes to Ms. Berry and Berry Schools in hopes they will be useful. 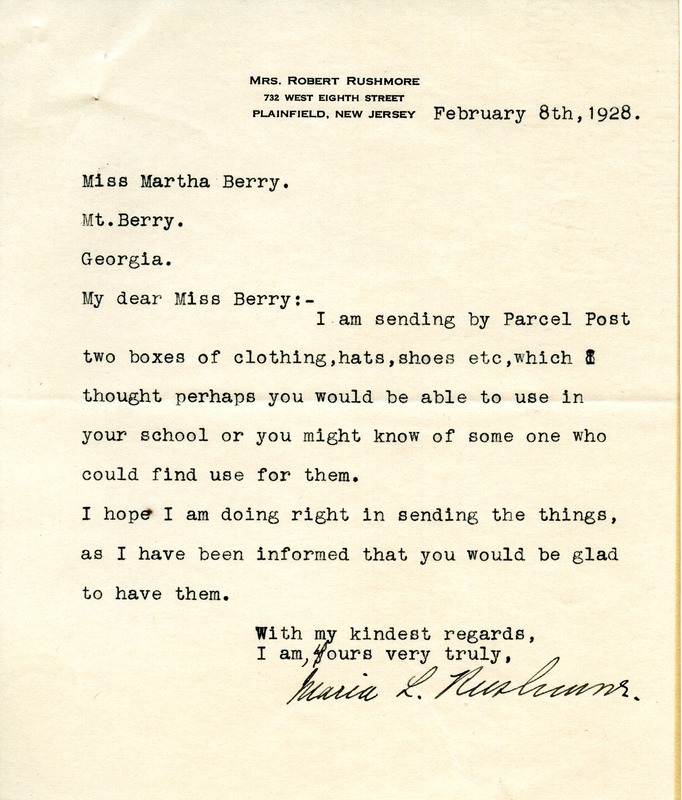 Maria Rushmore, “A Letter from Maria Rushmore to Martha Berry.” Martha Berry Digital Archive. Eds. Schlitz, Stephanie A., Brooke Culbertson, et al. Mount Berry: Berry College, 2012. accessed April 24, 2019, https://mbda.berry.edu/items/show/8857.